Ok, so it’s Sunday and that’s usually a day of rest, peace and calm. So if you want to keep that serenity, then perhaps best to click off this article and read something else. If you choose to read on then please accept apologies now for any anger or frustration that creeps into your day of peace. The Wallabies have been guilty of trying to go wide too early when they have the ball in hand. Organised defences just lap this up and are not stretched by it at all. Against the Pumas recently the Aussies showed that, perhaps, they had learned their lesson as in the second half they ran hard and straight in the midfield and tore the Argentinians to pieces. Against Wales in the first half, the Aussies showed good patience and put together a number of passages of play with over trn phases. Of course, phases and possession don’t automatically mean points or wins but for a team that has struggled with these fundamentals, it was encouraging to see this resolve and commitment to earning the right to go wide. Unfortunately, in this game, those many phases didn’t lead to points and the positives are pretty much over at this point. The rest is just bad, bad, bad. This game was a bit of an anomaly in terms of the scoreboard but the principle is still the same. At the top levels of international rugby, the margins can be slim. In this game especially things were tight all over. So that it made it so much more infuriating when Hooper pointed to the corner instead of the posts. It’s not ok to excuse this as a commitment to attacking rugby – it’s just bad leadership and game management and it cost the Wallabies today. No one in the dressing room, the pub, the office, the bus queue or on The Roar is congratulating the Wallabies for their attacking intent when they lose their eighth game of the year. What’s perhaps more frustrating is that this isn’t a new issue. I’ve written this same point a few times in reviews of the Wallabies and am confused as to why Hooper insists on this flawed approach. Some people, including myself, pointed out ahead of this game that it is too easy to recite the stat that the Wallabies have lost seven out of ten matches this year. It’s absolutely true – well it’s eight from 11 now but it was right at the time – but five of those seven losses have come against the top two sides in the world. But this excuse, along with the others used to justify the poor performances from the men in gold, are well past their use by date. The team today was as close as damn it to Cheika’s first choice team. They’ve had plenty of time together now over the past few months. They were not playing one of the top two sides in the world. And yet they played some poor, poor rugby. When we remove these excuses it’s time to face the reality – the Wallabies are just a very average side who have some talented players but cannot live up to expectation. Or at least can’t live up to expectation under this coach. Where are the game changers? One of the things that highlights the difference between the good and the great is the ability for the great players to genuinely change a game. You can see it in sports around the world – the very, very best almost decide in a moment that they are going to make something happen and then they go on and do it. It’s been thought that in Kurtley Beale, Israel Folau and Will Genia that the Wallabies have this exact type of player. But where were they today? The game was begging for one of the Wallabies’ big names to step forward and make something happen. But as minute after minute drifted by with error after error causing the game to stumble along it seemed like they were all waiting for the others to make that impact. Of course rugby is a team game and one player can’t do it all themselves. But one player can inspire and energise their team through their actions and today there was nothing from the Wallabies talent pool. Stop kicking the ball away! The Wallabies are meant to have some of the best ball players in rugby within their ranks. The roof was on in Cardiff so there was no rain or swirling wind. So why on earth did the Wallabies insist on kicking the ball away over and over? Of course the kicking game is key, and good kicks can create pressure and opportunity. However today there were aimless kicks after aimless kicks and all it did was give Wales the ball. Now the Welsh kicked a fair amount too – there were over 70 kicks from the two sides in the game – but that doesn’t mean that the Wallabies had to return the favour. The Aussies’ strength is their running with ball in hand – this is so much harder to do well when you don’t have the ball! In such a tight game, any little slip up had the potential to change the game. Given that, you have to look at players like Ned Hanigan and Kerevi and ask what on earth were they doing? Kerevi was very lucky to avoid a penalty or more when he hit Leigh Halfpenny with a late tackle towards the end of the game. It could have cost his team a player in the bin at a crucial time and they would have not been given the penalty that Matt Toomua nailed under great pressure to make the score 6-6. Hanigan was guilty of lying all over the ball and giving away the penalty that gave the game to Wales. Yes, it can be hard to get away quickly once you’ve made a tackle, but Ned just laid there and didn’t even try and show the ref that he was making an attempt at rolling away. Hannigan didn’t cost the Aussies the game but he certainly contributed to the loss with that one moment of poor play. If you’re going to go deep in a World Cup you need street smart players and there are just too few in the Wallabies’ ranks. Raelene Castle commented earlier this week that she and Michael Cheika were in agreement that winning all the games on this spring tour was the pass mark they were all aiming for and expected. Well, that’s been missed at the first test. So what now? Well you’d expect the Wallabies to bounce back and beat Italy pretty easily. So that then leaves their final game of the year against the old foe – England. If you’ve seen the way that England have played against South Africa and New Zealand over the past seeven days then you should know that the Wallabies could be in real trouble when they head to Twickenham. If England do beat them, then that’s nine losses from 13 games in 2018 and the Wallabies’ lowest world ranking ever. Pass marks missed. Performances poor. Rankings low. 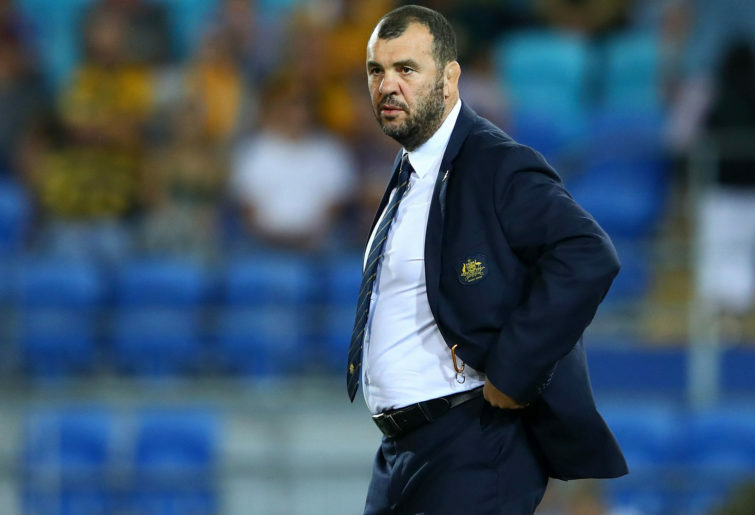 Surely Cheika’s position in that situation is untenable.